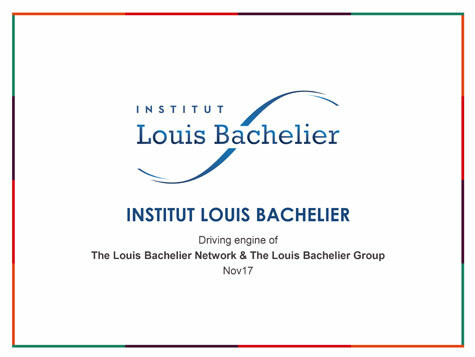 Managed by the Institut Louis Bachelier and the CNRS Eurofidai laboratory, the European High-Frequency Financial Data Base (BEDOFIH) project was selected within the framework of Investments for the Future in February 2012. It aims to create a European high-frequency financial database, allowing very accurate analysis of the increasingly rapid dynamics of the European financial markets. A proposal from Princeton University by Yacine Aït-Sahalia (“Empirical Analysis of the factors influencing HFT’s provision of liquidity”). The three winners make for a good French, European and international balance, and represent both microstructure and financial econometrics. Each of them benefits from priority access to the database and financial assistance up to €40,000. Two other proposals have been retained in the supplementary list, thus obtaining access to the database: Paris-Dauphine University with Carole Gresse (“High-frequency trading and market stability”) and Imperial College London with Robert Kosowoski (“High-frequency news and individual stocks: European perspective”). Scientific and technical director: Patrice Fontaine, Director Eurofidai (UPS CNRS 3390) ● Project coordinator: Institut Louis Bachelier ● Institutions managing the project: Institut Louis Bachelier and Eurofidai (UPS CNRS 3390) ● Academic partners: HEC Paris (GREGHEC), Institut des Grilles (UPS CNRS 3107), LPSC (UMR CNRS 5821) ● Professional and institutional partners: INSEAD OEE Data Services (IODS), Pôle de compétitivité mondial Finance Innovation, Information Finance Agency and ESL.